Family, friends and clients, if you are taking the time to read this it means my Maker has called me home to spend eternity with Him. Heartbreakingly, it also means I have left behind sooner than I ever wanted to, my beautiful wife Brandi, our sons, Isaiah and Riley, and our lovely daughter Anna. On August 31, 1974, I was born and raised in Caldwell, Idaho where my childhood was spent playing sports and making memories with my brothers and friends. You could find me during the summer playing all-stars for Caldwell Youth Baseball. My favorite spot would later be found on the football field of Caldwell High School as a defensive end and at times, quarterback. I was aggressive and loved the sound it made when I would take down a player from the opposing team. In 1992, I graduated from Caldwell High School and attended the University of Idaho for a short time before finishing my degree at Boise State. As an insurance agent I would often shock people when they learned I actually had an English degree. I was also just a few credits short of a teaching degree which my wife would often encourage me to go back and finish, however I never found the time. Brandi would tell me I had a gift of imparting into children's lives, which I found later to be true on the same ball fields I played on. December 16, 2005 was the day I found what my life had been missing, my wife Brandi Lynn Cope. After that first date I knew I had to make her my wife. 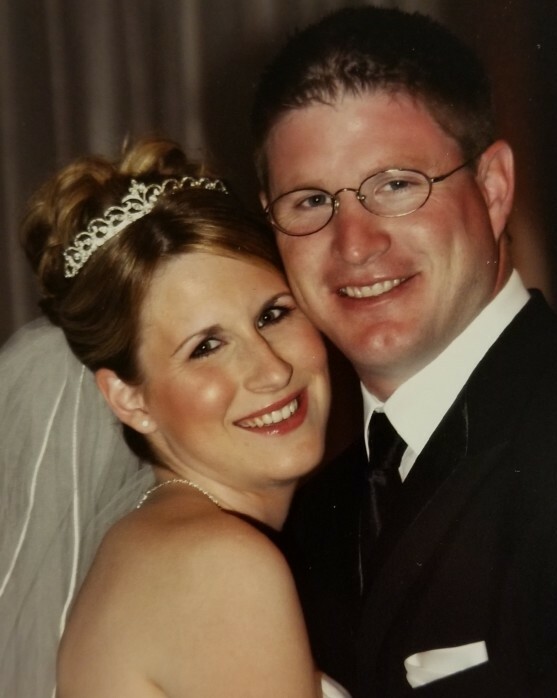 We said, “I Do" on June 24, 2006. God blessed us with two boys, Isaiah Jacob and Riley James, and a daughter Anna Eileen this completing the family my heart had always longed for. Brandi always told people I was her better half, but she truly was mine. Shortly after we married, Brandi introduced me to my Lord and Savior Jesus Christ. In the spring of 2009, I found myself back on my childhood fields when Isaiah started T-ball. Our family would spend most of our fall, spring and summers on the ball fields traveling the state of Idaho. The passion I had for baseball was now something I could impart into not just my own boys but many others from the Caldwell area. I would draft a team by taking boys other coaches looked past and cultivating the skills of every player, I found myself winning multiple league championships. My proudest moment on the field was coaching our youngest son Riley's team to an undefeated state title in the summer of 2015. We then traveled to regionals in West Linn, Oregon, where we lost by one point to the team that took the regional championship. The following summer I found my family on those same fields in West Linn as our oldest son Isaiah traveled with his twelve year old team after winning a state title. Watching both my boys find the love of baseball on the same fields I did and making memories with them is something no one can take away. Brandi and Anna were always there no matter the weather to cheer us on, help keep book or fill in however I needed. Brandi is a huge reason I was as successful as I was on the field as a coach. We made a great team in everything we did as a family and I am so grateful God blessed me even if for a short time with her and our children. I enjoyed working along side some standup men who I had the privilege of becoming great friends with. Lee Bradshaw and Jason Bowman you were more than just friends to me. I saw you as brothers God blessed me with. Thank you for your support on and off the fields. I tried to impart my enjoyment for golf as well into my family but it didn’t stick the same way baseball did. So I’d enjoy a game here and there or hitting the driving range on a Friday afternoon. As I know my days will come to an end and I will not get to finish the job of raising my children, my heart is at peace. As my relationship, love, and knowledge of Jesus grew over the years, I was able to face and make some very difficult life decisions. God has shown me over the last few years that time is nothing to be wasted, taken advantage of, or something you are in control of. God also showed me that family and friendship is not something you are born into, or always blood related but those who put the same effort, time and respect into the relationship as you do. My time was too valuable to keep relationships with people who didn’t respect my wishes, or Brandi and our kids. Thank you to those who did and who I know Brandi and the kids can count on if they need anything after I pass. Thank you to our church family at Capital Church for showing unconditional love always and for standing alongside myself, Brandi and the kids, by either holding us up in prayer, bringing meals or taking the kids to keep their minds off things going on. I know when I take my last breath that I’ve said all I wanted to say to those I wanted and I spent time with those I wanted to. I will go to heaven with no regrets, but only wishing I was given more time with the love of my life Brandi and our children! Jeff went home to his Lord and Savior on November 19, 2018. He was surrounded at home in his bed holding Brandi’s hand, with their children, Isaiah, Riley, Anna and his mother in-law Sherri Martin. The family would like to thank Alsip and Persons Funeral Chapel for their great care and kindness in the family’s time of grief. 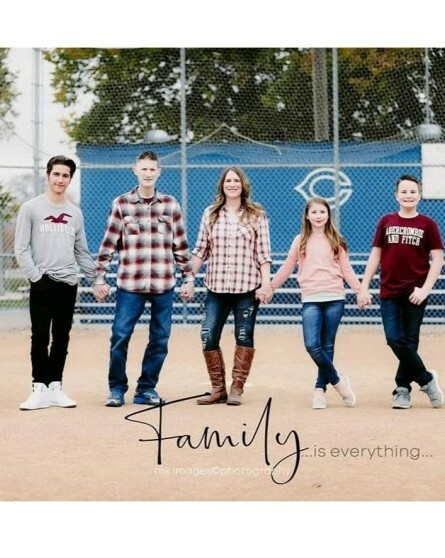 Jeff was an avid believer in education and asked in lieu flowers that a donation be made on behalf of his kids to the GoFundMe account listed below to be used for their furthering education.